My first time trying a Quealy Pinot Gris, and I'm not sure this was the best example for me to have. Perhaps having this wine three years past vintage was not ideal, but I found it a bit disappointing having heard winemaker Kathleen Quealy dubbed as the 'queen of Pinot Grigio'. Soft aromas of pear with a touch of grapefruit. Fairly high levels of acidity and nice and dry. I will definitely try to seek out a more recent vintage of this wine. A consistently good dry style Rose that is easy to find. I've shared with a few friends, over Indian or Malaysian food, and heard more than once that they didn't think that they liked Rose. Strawberrys and rosewater aromas . Soft and juicy, with just a touch of acidity to keep it lively. This is a go-to for spice heavy foods. Fresh, fun, and food friendly. I'm often pleasantly surprised by the quality of wine De Bortoli are able to produce, in relatively large quantities and at very smart prices. This is certainly no exception, and a very good Pinot Noir for under $20. Blended from the 'leftovers' of the 6 different estate wines, this wine is naturally fermented with about 20 percent whole bunches. Dark red berry fruit aromas wrapped with spicy herbal notes from the whole bunch additions. Chalky and finely textured tannins give good form and length to this wine. Just very good Yarra Valley Pinot Noir at a very good price. 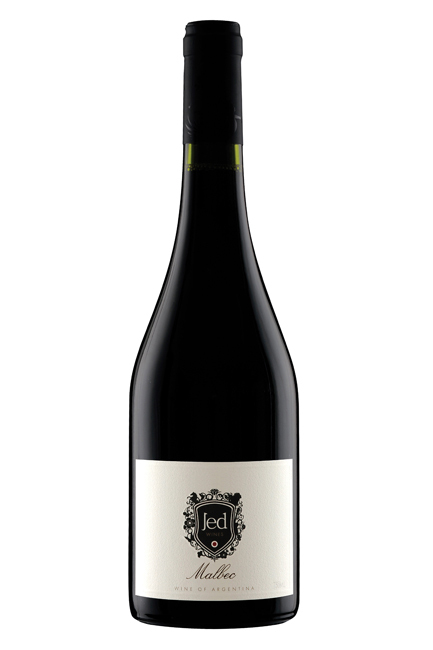 An entry level Shiraz sourced from winemaker Andrew Margan's Hunter valley vineyards. Some reductive sulfur notes on first opening, which fell away on the second day of tasting. Some dark berry fruit, with spice and earthy notes. Decently structured tannins which stuck around on the palate for a decent amount of time. Not a bad Shiraz, will likely benefit from a bit more age. Bought with a group, figuring it would minimize the risk, I was surprised to find a Pinot of this age that still has some primary fruit character and structure remaining. Opening with some soft cherry aromas, savory forest floor and mushroom like aromas soon followed. Tannins were very soft, but still there in quantity and structure holding the wine together with a touch of remaining acidity. It was definitely a pleasant surprise. It was a bit of a gamble trying a pinot of this age, but after the '01 St Hubert, I figured the gamble could pay off. I was wrong. Completely shot. Taking on aromas of stewed fruit and wild honey, the acidity is out of check and there are relatively no tannins to speak of. You win some, you lose some. Named after politician and wine enthusiast Sit Robert Menzie, the grapes for this wine all come from the Menzies vineyard in Coonawarra. Initial cigar box and black pepper aromas opened up in the decanter to reveal more dark berry fruit and developed well over about an hour. Didn't detect any of the eucalypt like aromas, common in wines from Coonawarra. The tannins have aged gracefully and the acidity is still in tact and well balanced, resulting in excellent structure and length. This wine has developed well and likely still has a few good years ahead of it. Winemaker James Erksine has sourced fruit from McLaren Vale grower Fiona Wood to produce this Shiraz in a rather 'hands off' manner. Allowed to ferment with the wild yeasts found on the grapes themselves, this wine is left unfiltered and unfined with only a small amount of sulfur added. Juicy red berry aromas are predominant, with support from a hint of earth. Light and dusty tannins are just right to make this wine interesting, yet very drinkable at a young age. A great wine for this price. Another good Italian varietal from Coriole in McLaren Vale. Nice fresh Barbera, ready to drink right away. A delicate savory nose, with plenty of dark cherry fruit aromas. Soft tannins and a good level of acidity. A very approachable young wine. Great for a group and quite food friendly. After 25 years of making wine with Delatite, Ros Ritchie set up Ros Ritchie Wines in Victoria, where she sources grapes from several small growers. While her focus is on more aromatic varietals such as Riesling and Gwurztraminer, she produces a wide range of different wines from the region. Dark blackberry fruits with hints of licorice, mint and wet stone. Fine tannins, moderate oak, and a good level of residual acidity. A very nice Cabernet, at a smart price. I suspect this wine has many good years left in it. As many Australian wine fans are well aware the Black Label Cabernet Sauvignon is one of the best value wines from the Coonawarra region, and generally ages quite well. While it's certainly one to buy up and cellar, I've notice a few times I've been able to buy this wine with a few years already on it for very little mark up. An attractive proposition to someone like myself with a fairly small wine fridge. This 2010 is coming along nicely. Chocolate, earth, and mint, line up well with the dark berry and plum aromas. Maybe a hint of cigar box developing. Still plenty of life left in the tannins of this wine, but they're becoming quite silky and very enjoyable. Look forward to seeing this wine again in another few years. Coming from one of Australia's best viticultural and winemaking teams, Keith Harris and Tom Carson, this is a good example of just how good Victorian Pinot Noir has gotten. An excellent Aussie Pinot, I'm now super keen to get a taste of some of the single block Pinots from this vintage. Plum and red cherry aromas with some forest floor and mushrooms. Great length on the palate, offering more purple red fruit alongside some more savory flavors. Everything I want from a Mornington Pinot Noir. I think I may have plucked this one from the wine fridge a touch early, as I suspect it still has lots of development potential. Another great Nero D'avola hailing from McLaren Vale. Made in a fresh and easy drinking style this wine is very approachable and ready to drink right away. Coriole are helping to lead the way in the production of great wines from Italian varietals in this region. Bright fresh red fruit aromas, with plenty of cherry, mingle with some light spicy notes and a hint of aniseed. Silky soft tannins with decent palate length. Found myself going for a second glass pretty quick. Paired very well with pan seared duck breast. Coming from the coldest site at The Lane vineyard in the Adelaide Hills, this is a very clean, modern style of Chardonnay. A great Chardonnay for those that lean away from oakier Chardonnays. Tropical fruit nose develops more towards orange peel and grapefruit aromas in the glass. Nice clean bright acidity with just a touch of malolactic fermentation. A very clean refreshing wine, sure to pair well with Asian foods. Fruit from the Pyren Vineyard, in the Pyrenese Vally, Victoria underwent 100% whole bunch fermentation with wild yeast and a 40 day maceration, before spending 10 months in puncheons. The wine was bottled unfined and unfiltered. A superb Syrah, showing how well suited this grape is to this region. Pours a dark crimson color with heady aromas of rich red berries, dried herbs, and hints of wet stone. The large percentage of whole bunch really works here and is well balanced with the dark fruit. Fantastic length and tannin structure. Great development in the glass. I'm smitten. Made from fruit sourced from the Clare Valley, alongside a smaller amount of fruit from their own Adelaide Hills vineyard. A very easy drinking, yet interesting wine at a very fair price. I get aromas of violet and cherry. Very soft tannins and mild acidity make this an easy drinking wine that I could see going well with plenty of food options. I quite enjoyed it with a margherita pizza.